For all your confidential waste paper solutions - protecting you, your customers and our environment. Data Shredding Services Ltd have been established for 15 years providing secure destruction of sensitive and confidential documents and paperwork. We have a diverse client base utilising our secure document destruction services, ranging from Local Authorities and NHS Trusts to small businesses and domestic customers across Sussex, Surrey and Kent. We specialise solely in the destruction of confidential paperwork, media and storage and uniform and clothing. We are not a general waste management firm and we are not a waste paper merchant. The secure destruction of all paperwork is carried out by us and us alone at our secure unit. 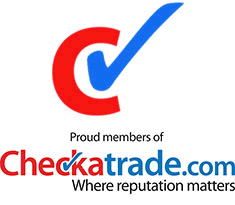 PRICE MATCH GUARANTEE - WE WILL MATCH OR BETTER ANY QUOTE FROM LOCAL COMPETITORS. Data Shredding Services' clients can be confident that the disposal of their sensitive information is thorough, carried out in a controlled environment, complies with data protection legislation and is evidenced by a certificate of destruction. We pride ourselves on our quality of service and our ability to to meet your requirements. When the need arises we can adapt our document and data destruction services to meet your needs rather than dictating to you what we can and can't do. Data Shredding Services offer a full range of office waste collection systems with a service schedule designed to suit your needs. We can provide a weekly, fortnightly or monthly collection for a set day and time or we can provide ad hoc collections at your convenience. All our systems are designed to compliment your office environment. All volumes are taken into consideration and recycling, security or waste bins and equipment are provided for off site destruction. At Data Shredding Services we are committed to doing all we can to protect the environment without compromising our customers' security and confidentiality. 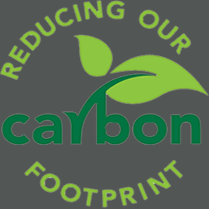 We are proud of our low carbon footprint and 95% of our shredded material is recycled into new paper products by local firms. For more details on our highly secure document and data destruction services and for a very competitive quote call 01903 814949 without obligation or fill out our online enquiry form. Document destruction compliance is now a legal requirement. Data Shredding Services' document and data destruction services are designed specifically to comply with the privacy and confidentiality requirements of individuals and organisations. Keeping customer and employee information secure isn’t just good business sense – it’s the law. We make it our business to know the privacy legislation and document destruction requirements in all regions where our customers are doing business so that you can focus on your core business practices, rather than worrying about your document security. Privacy legislation is constantly becoming more rigorous and is strictly enforced by the authorities, meaning that any organisation that fails to fully comply may face severe and costly penalties. This legislation includes the ultimate destruction of confidential materials, which states that all private information contained in documents must be destroyed in a way that ensures it cannot be recreated. To fully ensure this, secure shredding is the most effective and preferred method. We use exceptionally powerful shredders, which can turn almost any confidential waste you may have - from paper and clipboards to CD disks and USB sticks - into fine confetti, impossible to reconstruct. 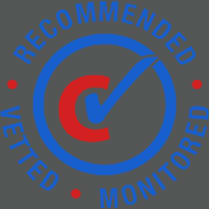 We stay on top of all compliance developments for your industry and area. Partnering with Data Shredding Services certainly makes good business sense. From storage at your premises in lockable wheelie bins, through to the final shredding and recycling process, your confidential data is highly secure. Our data destruction services are designed specifically to comply with the privacy and confidentiality requirements of individuals and organisations. After shredding your documents, we will issue you with a 'certificate of destruction' that confirms the data has been securely and confidentially destroyed. Employing Data Shredding Services to destroy your data could save your business around 17% of the cost of destroying confidential documents in-house.